The normal urban environment is hard, angular and not often playful. We go about our business with the type of calculated indifference cultivated through years of city dwelling. But when that cold, hard environment suddenly changes unexpectedly, we have no choice but to snap out of our collective reverie and take notice. 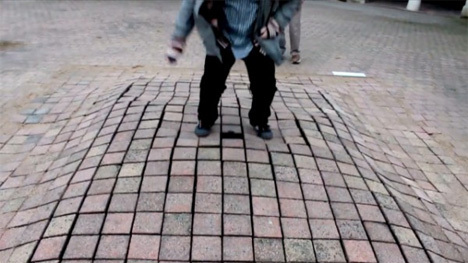 That is precisely what happened when residents of Bourges, France came upon a highly unusual section of sidewalk. This urban art installation was created by the Raum in the Box residence at the National Superior School of Art in Bourges. From a distance (and ignoring the small spigot at the top) this bump in the bricks looks almost like a speed bump. But when pedestrians stepped on it, it gave way and began to ripple and sway. 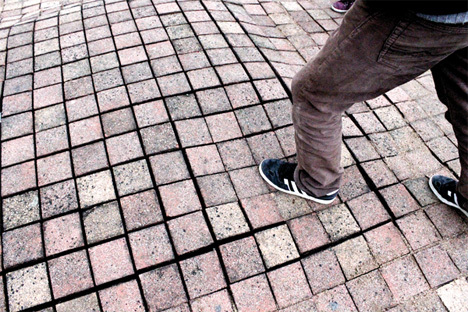 The “bricks” hid a soft water-filled cushion that provided an unusual way to interact with the city landscape. Children, adults and even pets were enchanted by the feeling of a fluid surface beneath their feet. 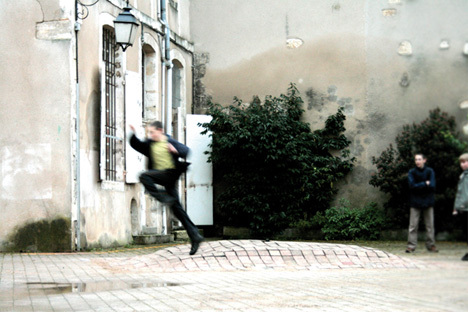 As an unexpected and non-threatening piece of urban art, La Ville Molle is an amusing and charming success. It flips our perceptions of the city on their heads and lets pedestrians interact with their town in a way that has never before been possible. But even more strikingly, it provides for a moment of play: something that is definitely lacking in most of our daily adult lives.